He graduated One Station Unit Training as an 11B Infantryman from D Company, 2nd Battalion, 58th Infantry at Fort Benning, Georgia. Upon completion of One Station Unit Training, he was assigned to the Ranger Indoctrination Training Detachment. While deployed with 3-509th Infantry (Airborne) he was attached to Task Force 1-26 where he participated in numerous combat operations and patrols in Eastern Baghdad in support of Operation Together Forward II. 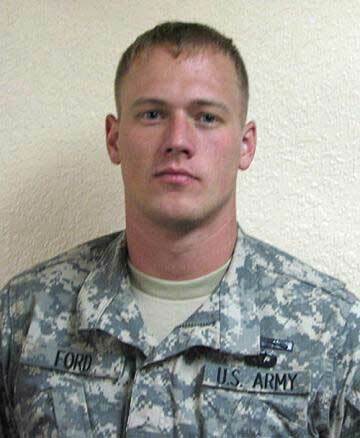 SPC Ford was an integral part of the team, dedicated to mission accomplishment, and displayed unwavering courage and commitment. Spc. 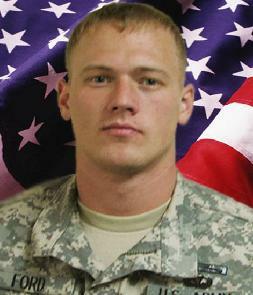 Philip C. Ford, 21, of Freeport, Texas. He was assigned to the 3rd Battalion, 509th Infantry (Airborne), 4th Brigade Combat Team, 25th Infantry Division at Fort Richardson, Alaska.